Enjoy the best inspirational, motivational, positive, funny and famous quotes by Annie Gottlieb. Use words and picture quotations to push forward and inspire you keep going in life! I think human self-hatred may be the great untold story of the millennium. 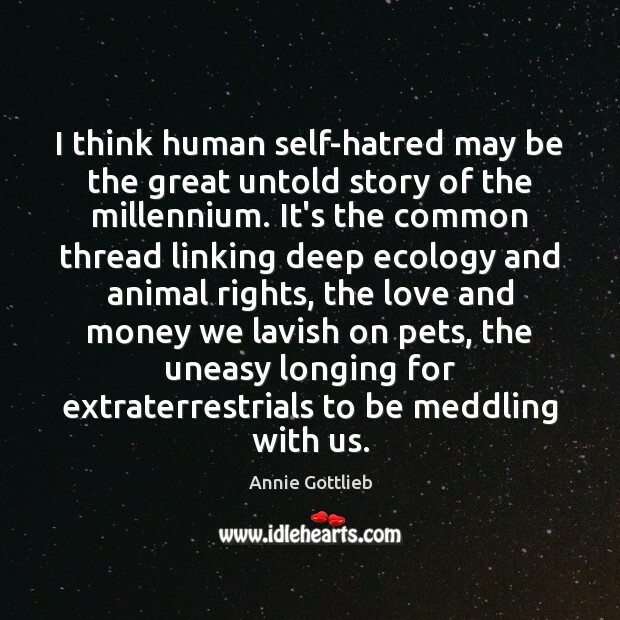 It's the common thread linking deep ecology and animal rights, the love and money we lavish on pets, the uneasy longing for extraterrestrials to be meddling with us.